Lightweight and easy to manoeuvre stainless steel spade with a compact head. Ideal for turning over small plots, digging between established plants and planting roses and shrubs in large pots and containers. 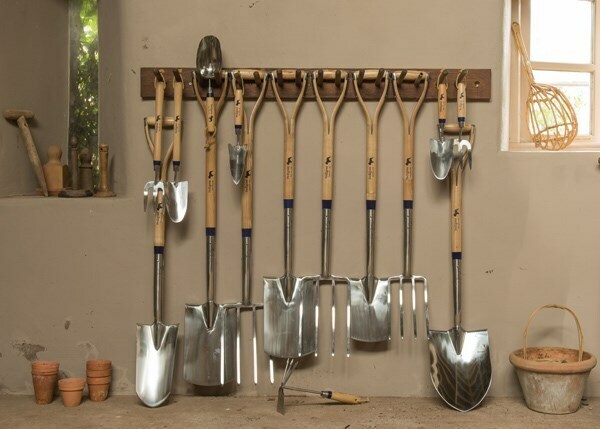 Gardeners up to 5ft 6” tall may also find it more comfortable than a standard spade for everyday use. The polished stainless steel blade wipes clean easily after use, and includes a textured tread plate to improve grip and protect boots from splitting. The tool is fitted with a shock-resistant FSC-certified ash shaft, fastened with a double-riveted strapped socket for extra strength, and has been stress tested to exceed British Standard BS3388. Part of the Pedigree range of stainless steel tools by renowned British toolmaker Bulldog. All tools in the collection are lightweight, rust-resistant and easy to clean, and come with a lifetime guarantee.